In the 19th century and early decades of the 20th, when refractors were the telescopes of choice, double stars were the favorite fare of amateur astronomers. With the discovery in the 1920s that the so-called “spiral nebulae” were actually distant galaxies and the emergence in popularity of the reflecting telescope, double stars took a back seat to deep-sky objects. Light pollution has made it harder and harder to observe deep-sky objects, but double stars remain relatively unaffected by streetlights or the Moon. 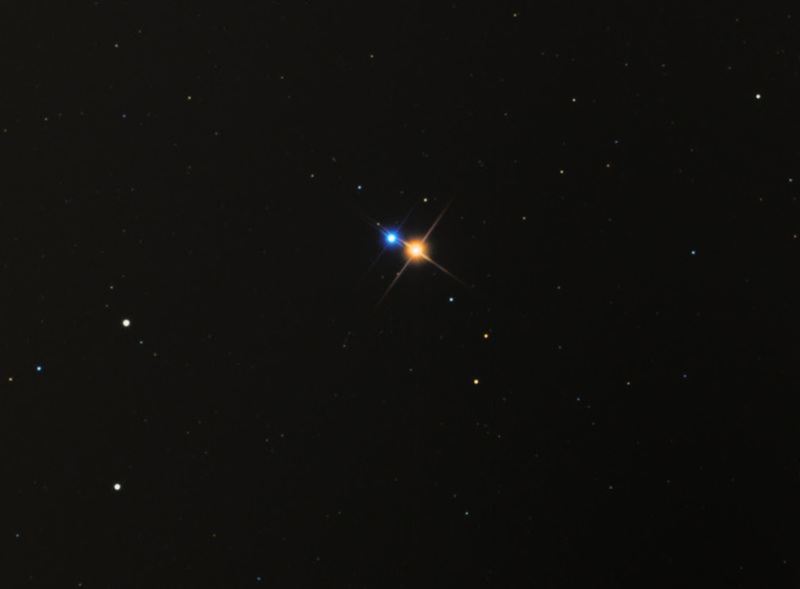 As a result, double stars are regaining popularity among backyard astronomers. In a colorful and informative presentation, Glenn will explain the nature of double and multiple stars, discuss the history of double star astronomy, and offer hints on observing double stars with unaided eye, binoculars, or telescope. He’ll conclude with a look at a Top Ten double star list, the Double Star Marathon, and resources for the double star enthusiast; you’ll come away well-prepared for some double-star observing. We’ll hope to see you on Friday July 13, from 8:00 to 9:30, for an evening of great snacks, great conversation, and a terrific presentation by a GAAC favorite. GAAC meets on the second Friday of every month except August, at the Lanesville Community Center, 8 Vulcan Street in Lanesville. A map is here. There are no dues or fees, and the public is warmly invited. No special knowledge or equipment is needed to have a great time.